Thank you for continuing to follow our series, The Mental Processes and Behaviors of Common Household Pests. Last week, you learned many interesting facts about ants, bed bugs, and cockroaches. You also learned that nearly everyone – at one point or another – experiences some degree of complications with common household pests. If you learn how these pests think and a little about their behaviors, you are sure to be more successful when it comes to your pest control efforts. This week, you will learn about the mental processes and behaviors of flies, rodents, and spiders as we conclude this comprehensive series. 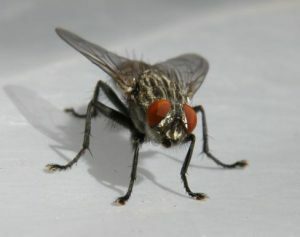 There are two types of flies that may prove to be a nuisance to homeowners – house flies and fruit flies. Both types of flies are particularly attracted to strong odors that stem from manure, vegetables that are fermenting, garbage cans, foods, and dumpsters. For the purpose and intent of this guide, we will place more of a focus on house flies. These insects feed on a variety of substances. Examples include organic matter, liquids, and feces. When feeding, it contaminates foods. This, in turn, results in the spread of disease and may sicken humans. If you want to get rid of these insects, your home should be completely sanitized. Most professional pest control agencies will utilize fly traps, fogging materials, aerosols, and residual-based insecticides. Rodents are among the smartest, most social, and most empathetic of all pests that commonly invade the home. Not only are these creatures extremely smart when it comes to finding food sources, they are innovative in how to reach food sources and areas where they may nest. In some instances, they may travel through plumping pipes or even eat through walls to gain access to where they desire. 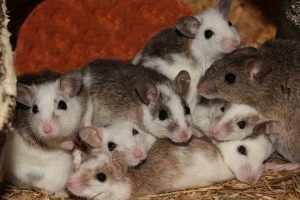 Rodents are very social and prefer to be with other rodents. Additionally, they have extremely good memories. Most rodents, for example, will find a navigation route and will remember that route. If you want to eliminate rodents from in and/or around your home, it is best to use All Pest Exterminating, Inc. Attempting to do the pest control yourself could be extremely expensive and potentially dangerous. Remember, these pests are so smart that they are the most commonly used of all household pests when it comes to scientific experiments and studies. 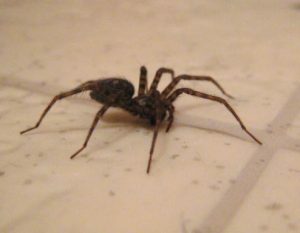 Generally speaking, spiders are considered to be lone pests. They typically live alone and hunt on their own. They do interact with other spiders, on occasion; however, this is mostly for mating purposes. In general, those that live in and/or around your home will either be classified as web-building spiders or hunting spiders. That is, they either construct a web to capture prey, or, they physically capture their prey without the use of a web. The only other time that spiders typically live their “home” is if they are seeking to reproduce. 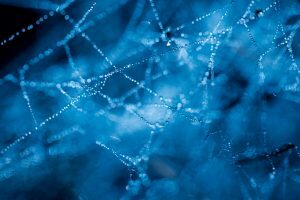 It is best to allow pest control agencies to eliminate spider infestations as they will be able to identify them, hit them at their source, and determine if there are more. The mental processes and behaviors of household pests are varied, but, interesting. By learning what the pest does, the types of activities that they take part in, and how they live, you will better know how and when to treat your home. The best solution, of course, is to allow a professional in the pest control industry deal with the elimination of the common household pests outlined in this two-part series.